Very good wines here at Château Larmande. This estate that dates back to 1585, which makes it one of the oldest in the appellation. Claire Thomas-Chenard runs the estate. 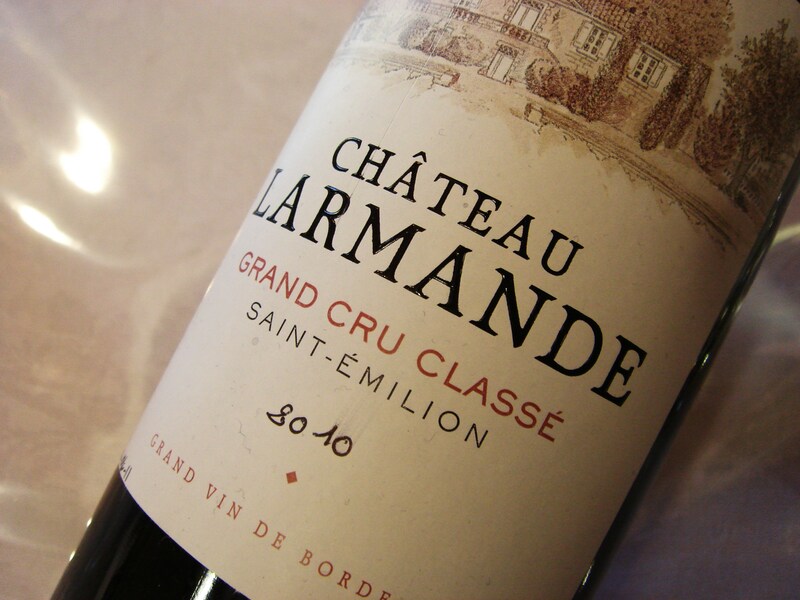 Second wine is Le Cadet de Larmande. Winemaking/Elevage: State of the art cellar in 2003. Aged for 15-18 months in 66% new and 33% one year old barrels. 2014 Mid depth; some purple at edge; ripe and spicy; earthy note; little compact and dry on the palate; dry on the finish too. Bit hard and disjointed on the day. Not sure where this is headed. [65% Merlot, 28% Cabernet Franc, 7% Cabernet Sauvignon]. Drink 2019-2025. Tasted UGC 1st April ’15. 83-86?